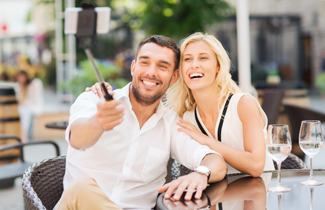 How can Invisalign Itero in London change your perception of dental care? The creation of customised Invisalign aligners requires high-quality impressions of your teeth and your bite. In the past, there were only a few ways to get that information, and the most effective was with traditional dental impressions. Dr Graham Tinkler is proud to introduce Invisalign Itero in London, an innovative, safe, effective, intraoral scanner that performs a thorough, digital dental scan instead of traditional impressions. Patients will no longer need to sit with a mouthful of sticky goo just to find that the impression is not accurate and they have to do it again. Not only are digital impressions more comfortable, they are also very precise. The Itero scanner has the ability to take a very detailed impression of your teeth and gums, and, once the scan is complete, Dr Tinkler will have a 3D simulation of your mouth that can be used to create high-quality, customised Invisalign clear aligners. Scanning your teeth with Invisalign Itero in London is very straightforward. Dr Tinkler will place the mobile scanner gently against your teeth and take a series of pictures, usually one tooth at a time, from different angles so that he covers the entire surface of the interior of your mouth. The dental scans developed by this technology aren’t just pictures. They are three-dimensional models based on complex algorithms. Using the scans, Dr Tinkler can predict how your teeth will move over time with various forces applied to them. The iTero dental scan is also very quick and easy to use compared to traditional dental impressions. As a result, your Invisalign treatment could begin within a week compared to other conventional methods which can take up to 3-4 weeks or more. Moreover, the Itero scanner allows better communication with the patients about their treatment plan and is much easier on patients, especially those with strong gag reflexes. The Itero scanner in London has already transformed the way Dr Tinkler uses Invisalign to straighten your teeth. If you have any questions about the scanner or want to book an appointment with Dr Tinkler, please give us a call. This entry was posted in invisalign on 12th December, 2017 by Clearbrace Dentist. What is the cost of Invisalign in London? Are you considering Invisalign in London? Dr Graham Tinkler may be the person to visit. A highly-skilled dentist, Graham Tinkler has been using Invisalign for many years to help patients straighten their teeth and regain confidence in their smile. Invisalign is an innovative treatment that is ideal for adults who wish to straighten their teeth without the hassle of metal braces. Patients who would have never considered braces before are now eager to try Invisalign. For many people, though, the choice comes down to cost. How much does Invisalign cost? Is it worth the money, or are metal braces a better choice? Generally, the cost of Invisalign in London is usually a bit higher than regular braces. Overall cost depends on many factors and Dr Graham Tinkler will give you an estimate of the price before the start of the treatment. Here are some reasons why Invisalign is actually worth the splurge. Invisalign involves wearing a series of custom-made, clear, plastic aligners that help shift your teeth into the proper position. You will need to wear each aligner for two weeks before moving to the next one in the series. You will notice the first results after a few weeks. Treatment time is unique for each patient, though average treatment time is 12 months. Invisalign has many benefits compared to traditional braces. Because they are made of transparent plastic, the aligners are virtually invisible. Convenience is an added bonus. While you will still need to visit the dentist every now and then to ensure that Invisalign adequately meets your treatment goals, you no longer have to spend hours at the dentist. Moreover, you can remove your Invisalign aligners any time in order to brush your teeth or eat your favourite meal. Finally, Invisalign does not place as much pressure on your teeth as regular braces. In the end, it is up to you and Dr Graham Tinkler to decide whether Invisalign is the right treatment for you. The average Invisalign cost in London is not that much higher than metal braces and the unique benefits Invisalign are well worth it. This entry was posted in invisalign on 10th October, 2017 by Clearbrace Dentist. Having straighter teeth is one of the most common things that people would like to change about their appearance. If you are unhappy with your smile then you may find that it affects your self-esteem and makes life feel difficult. Fortunately, you can now have correctly positioned teeth without worrying about the unsightliness or pain of metal braces. Graham Tinkler uses a great system called Invisalign and is proud to be the practitioner who has fitted more Invisalign aligners than anyone else in the country. 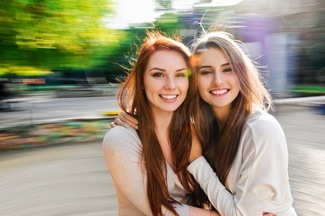 Invisalign is a system that can straighten your teeth comfortably, effectively and unobtrusively and there are a variety of options to suit teenagers and adults whether your misalignment is subtle or severe. For people choosing London Invisalign, cost is often a factor but a range of ways can make it more affordable. The complexity of your treatment will determine the Invisalign cost in London and there are different options to suit each individual. The Invisalign i7, which focuses on the most visible front teeth, starts at £1995. Graham Tinkler will always provide you with a price in advance so you know exactly what to expect. The first consultation is free so you can decide whether you would like to proceed without the worry of an initial outlay. To help you spread the cost of treatment, he also offers 0% finance so paying for it becomes more manageable. If you are looking for Invisalign, you will have probably have seen that cost varies between different practices. It is important to check what is included in the treatment as most do not offer refinement, whitening gel and Vivera retainers as part of the price. Graham Tinkler offers these as well as recontouring for the edges of the teeth which helps with proportion and symmetry. This means that you do not just get straighter teeth, you get a whole new, brighter, more attractive smile. See for yourself why over 4 million people have chosen Invisalign. With the additional services provided by us as part of your Invisalign cost in London, we are sure that you will be pleased with the results. This entry was posted in invisalign on 26th September, 2017 by Clearbrace Dentist. When it comes to aligning teeth in the 21st century, you can expect digital technology to be playing a part. Yes there are digital x-rays, but more interesting is Invisalign Itero in London. In London, Invisalign Itero digital scanning is used to take pin-point accurate and detailed measurements to create Invisalign clear aligners, instead of the uncomfortable process of taking impressions from putty that has to harden in the mouth. In London Invisalign Itero is used by innovative Invisalign dentist Graham Tinkler. After Graham has taken the scans, the information from the London Invisalign Itero scanning system goes into a special programme to create a mini-movie of how Invisalign aligners will move your teeth into position. You get to see a clear and accurate picture of how your treatment will progress and how your smile will look at the end. It’s an inspiring picture, and will help keep you going and disciplined as you go through your treatment. You will need to be disciplined with Invisalign aligners because they are removable. You have to take out your Invisalign aligners for meals and drinking anything but water, as well as cleaning. You have to clean your teeth every time you eat or drink, before you replace your aligners. If you rush the cleaning, or don’t replace your aligner, the transparent plastic can discolour, and therefore become visible over the teeth. And if you don’t wear your aligner for 20–22 hours a day, the treatment will not finish on schedule. It sounds like a bit of nuisance, but there is an upside. Wearing Invisalign pretty much cuts out mindless snacking and coffee drinking. If you work in an office, you will know how hard it is not to eat a slice or two of yet another birthday cake, or get up to make a coffee just to get away from your desk, and let’s not even think about the snack machine and all those sandwiches left over from meetings. Imagine a year of avoiding all those traps, which is about how long an Invisalign treatment takes. No wonder bloggers write in praise of the Invisalign diet. New teeth and a new waistline. What’s not to like? This entry was posted in invisalign on 19th September, 2017 by Clearbrace Dentist. If you are thinking about getting your teeth straightened, you are probably weighing up the costs against the benefits. Is having this treatment going to be worth spending all that hard-earned money on? When you are looking at the cost of Invisalign in London with Graham Tinkler, you need to bear in mind that you are not just paying for the appliance, you are paying for the services on one of the few Invisalign platinum dentists. Graham Tinkler has been straightening teeth with Invisalign for more than 10 years and has treated more than 2,000 patients. He is continually pushing the boundaries of what Invisalign clear aligners can do, and is renowned for using it to treat remarkably complex cases. Invisalign aligners look like clear, rigid plastic mouth guards. You get a series of them to wear, each one is one step along the path your teeth need to move to reach alignment. The aligners are 3D printed from pin-point accurate digital scans. Most patients need to wear 12–48 aligners, each one for about two weeks, to move their teeth into alignment. In London, Invisalign costs from £1,999. This is for Invisalign i7, an Invisalign system designed to treat minor teeth straightening issues. It provides up to seven stages of aligners per arch, and you can expect to see results in three months. The full Invisalign treatment starts at £3,500. No one is going to argue that this is not a big investment, but straight teeth are healthier than wonky teeth, so it is money well spent. Straight teeth are easier to clean, whereas wonky teeth are more likely to fall victim to decay and gum disease caused by plaque in crevices. Also, straight teeth mean that the pressure from chewing is evenly distributed, so that there is less chance of one or two teeth crumbling from the wear of doing all the work, and of pain in the jaw, neck, and head. If you are concerned about the cost of Invisalign in London, don’t be. Graham Tinkler offers 0% finance, the consultation is free, and the cost includes everything. There are no hidden extras. This entry was posted in invisalign on 12th September, 2017 by Clearbrace Dentist. If you feel like constantly holding back your smile because you’re embarrassed of crooked or crowded teeth, have you considered teeth straightening treatment? It might be that you’ve thought about it a lot, but you’d rather carry on ignoring the problem than to make a fuss. It isn’t just the thought of wearing unsightly metal braces for months on end that puts you off, but all the hassle beforehand, like getting the teeth impressions. Taking into account these common issues that adults have with teeth straightening treatment, it can be difficult to find the answer. But in London, Invisalign iTero is the solution to both. Dentist Graham Tinkler recommends Invisalign as a clear alternative to traditional braces. As a series of clear and removable aligners, they work to shift your teeth to their desired positions over time. Using 3D computer imaging technology, Graham can show you the stages of your teeth over the course of treatment, meaning you can visualise the end result before you even get started. The custom-made aligners move your teeth gradually and are changed every 2 weeks for the next in the series. Invisalign is an almost invisible treatment that offers discretion throughout. Invisalign iTero in London not only provides you with the clear alternative to metal braces, it also does away with the hefty process of getting teeth impressions. Instead of physically creating a mould from your teeth, Graham can use an iTero scanner to create a precise digital impression of your teeth. Not only does this eliminate the messiness often associated with traditional impressions, but it also provides further accuracy. As an Invisalign diamond provider, Graham Tinkler has a wealth of experience with Invisalign but he has also used this treatment himself. From his own personal experience of using Invisalign to straighten his teeth, Graham can confidently recommend Invisalign treatment to patients. If you’re considering Invisalign iTero in London, then contact us today for your free consultation. From there, Graham will discuss your suitability and advise you on your individual treatment plan. This entry was posted in invisalign on 29th August, 2017 by Clearbrace Dentist. The iTero scanner is used at the start of your Invisalign in London treatment to capture images of your teeth. Here at Graham Tinkler, using a small wand, we’ll carefully scan your teeth and your bite to create an accurate 3D digital model of your teeth. This model is then used to meticulously plan your treatment by allowing us to see your Invisalign journey played out on screen step-by-step. Traditional impressions involve using a dental putty, which is pressed over your teeth to create an imprint that can then be used to create a plaster model. These impressions can be messy and some of our patients have found it to be quite an uncomfortable process. One of the most exciting features of the iTero scanner for the creation of your Invisalign in London at Graham Tinkler, is that while you’re in the chair we can show you how your teeth could look following treatment using the Invisalign outcome simulator. Our patients find it’s a great way to visualise their goals and allows them to start getting excited about treatment. iTero Digital scanning offers more reliability and more precision than traditional dental impressions methods, resulting in Invisalign aligners that will fit your teeth better. This means potentially fewer appointments to our practice. Because we see the results of your iTero scan instantly, we can make sure that all the necessary areas are scanned there and then to ensure a smooth and easy procedure for your Invisalign in London. Does it make treatment quicker? Traditional impressions with dental putty taken in preparation for Invisalign treatments are physically sent to Invisalign’s technicians. This process takes time and occasionally the impressions can be at risk of being damaged in transit. However, digital impressions can be sent electronically safely and instantly, therefore speeding up the planning stage of your Invisalign in London procedure when compared to the traditional dental putty impressions. If this sounds like just what you have been looking for, why not give Graham Tinkler a call today and start your dental journey with Invisalign in London. This entry was posted in invisalign on 22nd August, 2017 by Clearbrace Dentist. Today, there are many different options to choose from to get a straighter, more beautiful smile. What will work for you depends on different factors, including how much work needs to be done and your personal preference. Invisalign in London, at Graham Tinkler could be just what you need. Invisalign uses clear plastic aligners that you remove to eat and drink and are, in general, comparative in price to traditional fixed metal braces. Is Invisalign worth the cost? One of the biggest selling points of Invisalign in London is that they are made of clear plastic and aren’t noticeable to the casual observer. Whether you are a teen, a student or even an adult, you will love that you don’t have to worry about flashing a mouth full of metal when you smile. Invisalign aligners are also softer on your mouth and there are no wires to irritate your gums. Because metal braces are permanently attached, there are certain foods and drinks you will need to avoid during treatment. Invisalign aligners however are removable so you can eat and drink whatever you like, whenever you like. While it can vary patient from patient, in general, treatment with Invisalign in London, at Graham Tinkler, takes less time than other treatments. This is because you are given a new set of aligners every two weeks. This allows your dentist at Graham Tinkler to have more control over the force applied to the teeth. Do they work for complicated issues too? It is not just for small issues like crooked front teeth that Invisalign in London will work for. It can even handle more complicated issues like overbites and under bites. The creators of Invisalign realised the need for innovation and the need for plenty of options to achieve a brighter smile in a subtle way. Therefore, they provide different types of Invisalign aligners dedicated to the specific differing needs of patients. At Graham Tinkler in London, Invisalign i7 could be the perfect choice if you only have one or two misaligned teeth. With this, your dentist will give you just enough aligners to move the one or two teeth that are crooked. This entry was posted in invisalign on 15th August, 2017 by Clearbrace Dentist. Straighter teeth not only look and feel better, they are also easier to care for and less prone to common oral health issues such as tooth decay and gum disease. However, quite a few adult patients postpone teeth straightening treatment because they do not like the effect metal braces have on their appearance. Luckily, braces have evolved over the years and you can now straighten your teeth quickly, effectively and above all discreetly with Invisalign. Dr Graham Tinkler, a London dentist who has treated many adults successfully over the years, offers Invisalign, an innovative teeth straightening treatment that helps move your teeth into their right position with the help of transparent, removable aligners. Dr Tinkler has treated over 2,000 patients with Invisalign, including many famous television and sporting personalities, and he recently treated the 4 millionth Invisalign patient. He is a firm believer that cosmetic dentistry should complement oral health and function and that’s the reason he encourages treatment based on research combined with clinical experience. He is available for complimentary consultations and he can help you determine whether Invisalign is the right treatment for you. For adults and teenagers with busy schedules that make frequent visits to the dentist untenable, Invisalign may be a better teeth straightening option. Rather than noticeable metallic brackets and wires, Invisalign uses a series of transparent, plastic aligners to gently shift your teeth into their right position over the course of 10-24 months. Treatment with Invisalign is very simple as it only requires wearing each set of aligners daily for 20-22 hours. Every two weeks, you simply replace the current aligner set with the next set in the series, until you have finished with all the sets. Invisalign aligners are removable, therefore, you can take them out to clean your teeth as well as eat your favourite foods. They are also more comfortable than traditional braces because they are made of smooth plastic, designed not to harm your gums and the soft tissue inside your mouth. If you are interested in Invisalign, why don’t you contact dentist Dr Graham Tinkler in London today? It’s never too late to have a smile you love. This entry was posted in invisalign on 25th July, 2017 by Clearbrace Dentist. Do you like what you see in the mirror? Or are you one of the thousands of people who dislikes their appearance or finds life difficult because of their crooked teeth? Having your teeth straightened used to involve months of fixed metal braces, which could be uncomfortable, sometimes damaged the enamel of the teeth and looked unsightly. Advances in modern technology has allowed patients looked after by Graham Tinkler to benefit from Invisalign in London. This is a system that can straighten your teeth comfortably, effectively and unobtrusively and there are a variety of options to suit teenagers and adults, whether your misalignment is subtle or severe. When you decide to have Invisalign in London, you will have a comprehensive initial assessment and be provided with a series of clear plastic trays or aligners that gently reposition your teeth. You will be given a new set every two weeks to adapt to the changing position of your teeth and continue to guide them into the right place. You may be advised to have the full treatment if your teeth are very misaligned or the ‘Lite’ option may be suitable if less work is required. Invisalign i7 focuses on just the front teeth so is another great option to resolve mild to moderate cases quickly. You can try Invisalign in London and see for yourself why so many people have loved using this method. Graham Tinkler prides himself on his ability to use Invisalign in London to correct any problems with crooked teeth whether they are straightforward or complex. The clear plastic aligners are virtually invisible so no-one will notice that you are wearing them and you can smile without worrying about how you look. You can also take them out for eating and cleaning so they do not interfere with daily life. As they are individually made for each person out of smooth plastic, they fit without rubbing and ensure that the teeth move in exactly the right way. Give yourself the gift of a beautiful new smile today and book your initial free consultation to discuss how using Invisalign in London can help you. This entry was posted in invisalign on 18th July, 2017 by Clearbrace Dentist.